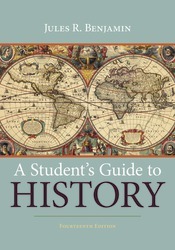 This guide provides comprehensive coverage of the historian's research process — from formulating a research question to how to find, evaluate, and work with sources of all types — written and nonwritten, in print and online. The writing process is explained thoroughly as advice on creating a strong thesis and writing an effective paper culminates with a model student research paper. The appendixes point students to the most helpful research resources.